15-years of SAP Russian localization anniversary was celebrated with the 5th Localization Summit in Moscow. Russian Globalization Services held this event on November 15th as always with a high quality and traditional national span. 600 representatives from SAP customers, partners and governmental institutions attended 50+ unique sessions, booths and hands-on points. Role and achievements of localization in the Digital Transformation was a leading idea this year. Strategic alignment of SAP and customers conjoint movement in that direction boosted at the event. Localization is key differentiator and enabler for business results on local markets. This was clearly highlighted in the introduction video message (in Russian) of Natalia Parmenova, COO of SAP CIS Market Unit and the most important sponsor of localization activities. 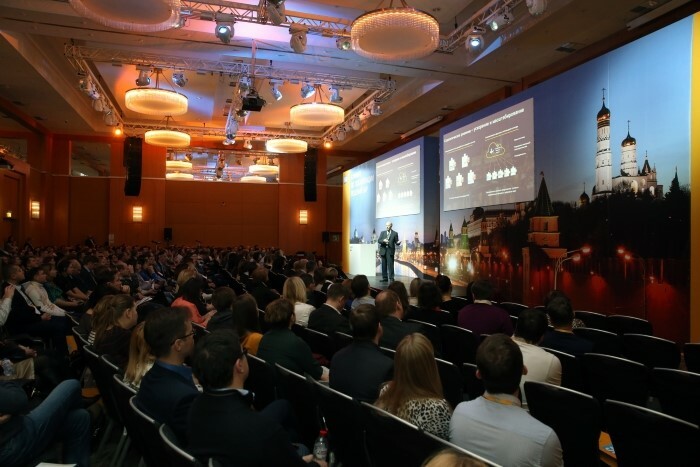 The keynote session was continued by Andrey Tregubov, GS CIS Localization Lead, showing how SAP presence in Russia and interaction with local business was evolving through the years. Thomas Klaus, GS Chief Architect moved beyond historical prospective and opened the central concept of the event presenting SAP Localization Hub concept and architecture. As a logical conclusion of keynote part 6 customers were awarded for their trusted engagement in co-innovation projects. Russian team follows overall SAP GS strategy and pays special attention to SAP Localization/ Translation Hubs. Thomas Klaus kicked-off this topic explaining an approach and technology in general. Further, 4 sessions dedicated to specific topics were held in separate streams. Experts presented FaaS, TaaS, SAP Translation Hub and S/4HANA Statutory Reporting Framework in details providing examples of Russia-related features already developed for SLH Services. S/4HANA is coming alive with Russian customers. SAP client from the Siberian city Krasnoyarsk (3352km from Moscow) came to the Summit to share their successful S/4HANA implementation experience! There were ‘no place to swing a cat’ in rooms where S4/HANA topics were presented: S/4HANA new release 1610, migration from ERP to S/4HANA, development on SAP HCM platform, and new baseline solution for Russia from Localization Summit General Sponsor SAP Gold partner ALPE Consulting. As we achieved great success in co-operation with Russian state authorities, it became another cornerstone of the event. First time we held 3 sessions of different speakers from Federal Tax Service (departments of corporate taxation and personal income tax) and Social Insurance Fund of Russian Federation. They introduced upcoming legal changes, their technological innovations and interfaces for technical and methodology intercommunication with their services. Closing part after all sessions was real ‘kicker’. Team showed a real working example of HCP application opening a door to IoT world for local community. A solution in agriculture industry was developing using all the latest technological innovations and tested with a customer in ‘fields’. We should not forget that our business and communication is not only challenging but also pleasant. This year we had a great reason to celebrate. 15 years passed from the moment when the first localization for Russia (ERP HCM solution) was shipped. All the main milestones and achievements of this period were presented in a colourful form in the motivating video. Many new local solutions for FI/LO (VAT clarification requests, Registers of 0% VAT confirmation…), HCM (Report management system, number of legal changes…), SAP SuccessFactors, SAP Business ONE, SAP FS Banking, SAP Transportation Management were presented to our customers and partners. The whole CIS Globalization Services worked hard preparing sessions and organizing other departments’ participation and everybody did their best! Thank you all!